Royston House is set on 500 acres just over an hour from the Gold Coast and Brisbane. This private thoroughbred horse farm has a magnificent Queenslander homestead located on top of the hill. From every angle, there are sweeping views of the property, The stunning mountains in the background and the beauty of the surrounding Scenic Rim region. We provide the picturesque venue and give you the flexibility and freedom to personalise the space and make it your own. Our coordinators will work with you and your team and help bring your vision to life, ensuring your wedding day is everything you dreamed of. We will maintain a presence on the day so you can rest assured everything is in order and you can spend your time celebrating with loved ones. Royston House is yours to enjoy for the weekend and includes accommodation for up to 12 guests in the homestead. Being an exclusive property, we hold one wedding per week so our guests can have a truly unique experience in an idyllic setting, one that will be cherished forever. What sets Royston House apart? The Kelly family have owned this property for more than 25 years. It started with a dream of building a beautiful Queenslander style house perched on top of the hill to look over the beloved horses. There was the vision and perseverance to make this dream come true and our family continues to run the property. We see the beauty of what was created and we would like to share it with you and create special memories for your wedding day. After 25 years, we still sit and watch the sunset and can’t help but comment how amazing it is. Our venue coordinator is Drew Lawrie. Drew brings a wealth of experience to Royston House having previously managed his own family’s business in a range of industries. 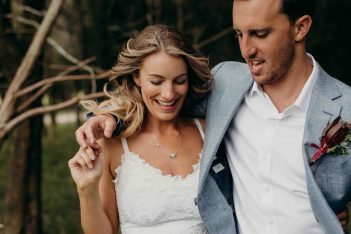 Along with his business skills, Drew has a passion for weddings and a natural ability to build and maintain strong relationships with everyone from our bridal couples to suppliers, vendors and allied business. You’re in excellent hands with Drew!